His Excellency Prime Minister Dr. Haider al-Abadi has held a meeting of the Ministerial Energy Committee during which they have discussed the issues of electric power, oil, gas, water, supporting, developing electricity projects, production, generation units and providing the necessary fuel for electric power stations, addressing the emergency stops in the energy, as well as supporting the industrial sector and agricultural land reclamation projects. In the field of residential investment projects, they have given approval for the assignment of service contracts and collection of residential investment projects to the investors in exchange for the financial costs of the implementation of infrastructure services and the service of not less than eighty percent of the lowest rate of service fee and collection has been transferred to the province. Within the framework of the land reclamation plan, it was agreed to allocate and fund two billion and two hundred and fifty billion dinars from the emergency reserve to complete the Suweihiyah land project in Rumailah in Muthanna Governorate, which was implemented by Al Faw Company for the implementation of irrigation projects. They have also given the approval for the allocation and financing of two billion dinars from the emergency reserve for the implementation of the rivers of the table Babylon. 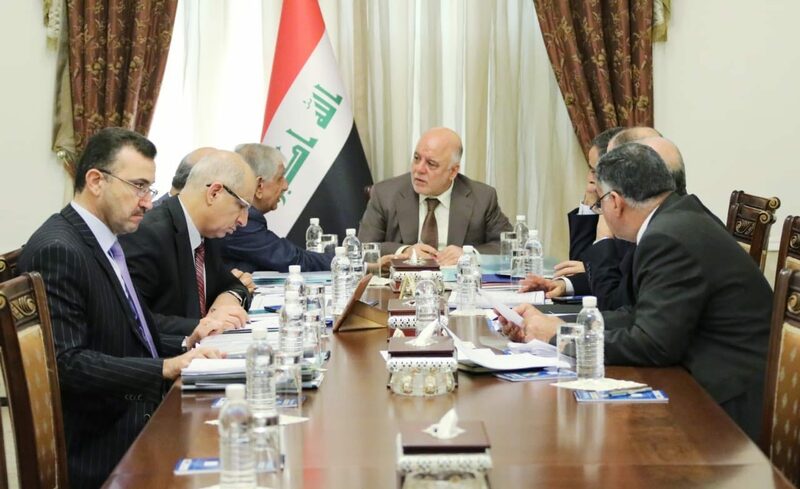 They have also given approval for the project of producing topographic maps of Iraq within the investment plan of the General Authority for Survey at a cost of (one hundred and five billion dinars) for eight years and allocate the necessary amounts within the budget of 2019, and the production of maps in the said authority to prevent duplication and reduce the cost of production and time.